benecosMavericks have announced the latest two players to sign for the 2019 Vitality Netball Superleague season. Returning for her fifth season in the black and purple is mid-court dynamo and Northern Ireland international Michelle Drayne (#68). Joining Michelle in the midcourt is two-time Vitality Netball Superleague champion Georgia Lees. Michelle Drayne, was instrumental in the mid court in both attacking and defensive roles for benecosMavericks during the 2018 season. Michelle first joined Mavericks in 2014 and is excited about the season ahead. She said: “I’m delighted to be returning to Mavericks for another year. “I look forward to the challenges ahead and am excited by the return of George and Kadeen. 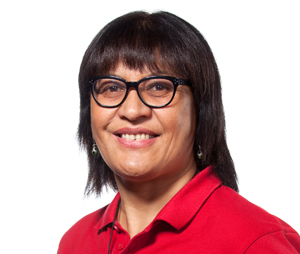 Director of Netball Kathryn Ratnapala commented: “Michelle continues to grow from strength to strength every year and is an extremely hard working and dedicated international athlete. Georgia Lees joins Mavericks from Surrey Storm where she has been since 2010 rising up through their performance pathway and into the championship-winning squad. She had this to say about making the move to benecosMavericks: “I’m so excited for this new chapter in my life and netball career! Kat Ratnapala added: “Georgia is a player I’ve had the pleasure of working with before and with her move to the University of Hertfordshire, I’m really pleased that she’s decided to join our campaign this year. Team Northumbria suffered their second defeat in three days as they lost 58-45 at the hands of Surrey Storm. Team Northumbria suffered a second loss in 72 hours after title challenging Surrey Storm did the double over the struggling Sport Central club tonight [Monday]. Te Aroha Keenan’s side have a 12-day break before their next top flight clash – away at joint leaders Mavericks on March 26. And TN must go back to the drawing board after a dispiriting 58-45 defeat left the Tynesiders nine points off a top four place. A slow start handed Storm the initiative and the home side never fully recovered despite more pinpoint shooting from top 10 Superleague pairing Chiara Semple and Lynsey Armitage. Scotland star Sam Murphy was handed a first start at wing defence with Jaydene Robinson still nursing the wrist injury that forced her out of last month’s Loughborough clash. But coach Keenan kept faith with the trusted defensive pairing of daughter Tuaine and Darlington’s Leah Kennedy. And veteran goal shooter Armitage started a second game in three days alongside prolific Kiwi Semple. If TN were looking to fly out of the blocks then an adrenaline-fuelled start backfired. Misplaced passes and poor decision making allowed third-placed Surrey to open up a 5-1 lead. But when TN did create scoring opportunities both Armitage and Semple made no mistake to keep the hosts in touch. Storm led 31-21 at half-time but their 10-goal advantage only told half of the story. TN shot an incredible 95% in the first 30 minutes but created just 22 shooting opportunities compared to Surrey’s 35. Coach Keenan rang the changes after the break with the tiring Armitage withdrawn – Tuaine Keenan moving to goal shooter and Jamaican Shanice Beckford stepping in at goal attack. Brie Grierson tasted her first action of the night at wing attack and Emily Hollingworth replaced Murphy at wing defence. TN started the third quarter with pace and precision to briefly reduce the deficit but midway through the period Storm regrouped. And with 10 minutes on the clock the hosts had a mountain to climb – trailing 44-30 and staring down the barrel at an eighth Superleague loss.